Tool Logic SL3 Fire Survival Tool. 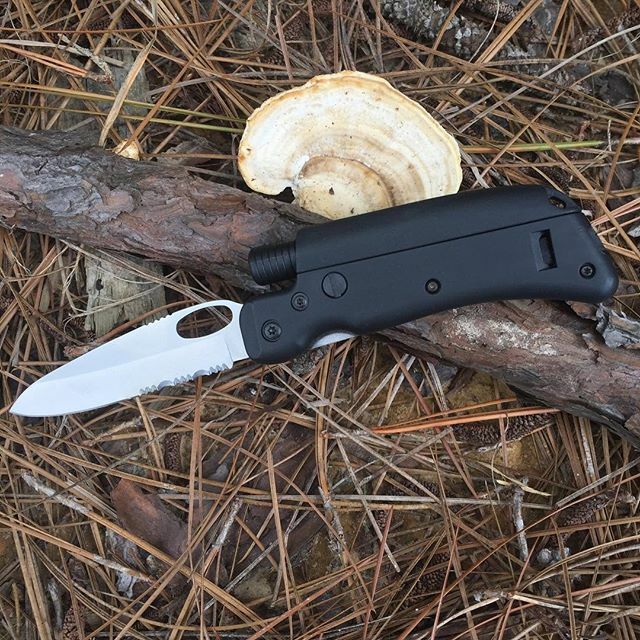 Packed with three of the most useful survival components, the Tool Logic Fire SL3 is a must have for outdoors enthusiasts. 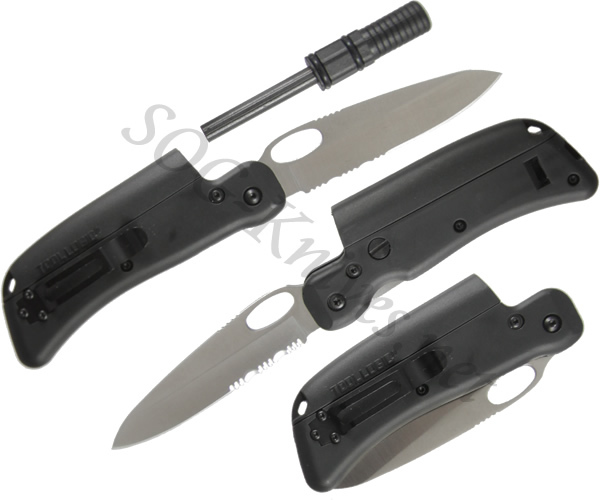 The blade is AUS8 steel with a precisely sharpened, partially serrated blade. The black Zytel handle has a built in emergency whistle. A built-in storage sleeve on top of the handle houses a magnesium alloy fire striker. Capable of 100 strikes, even in wet conditions, this component could easily be your biggest asset if faced with surviving in an emergency situation. Own a Tool Logic SL3 Fire Survival Tool? Tell us how you like it! Got a question? Ask! Somebody will answer!